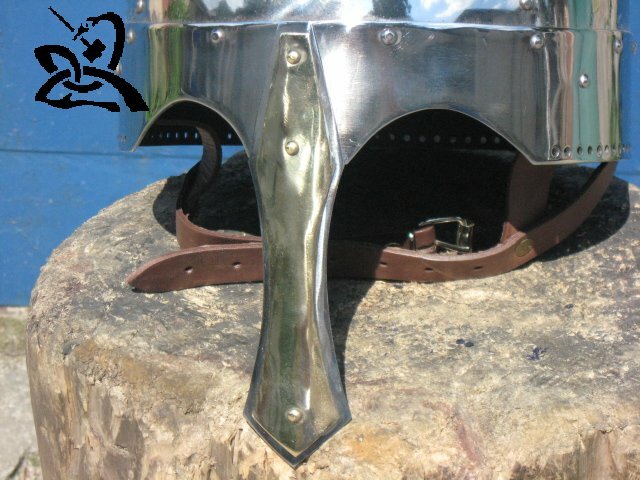 Slavonic warriors have won most of their battles. 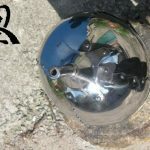 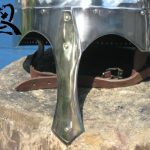 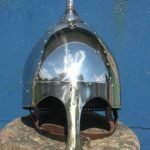 The reason for this was not just their patriotism and strong native spirit, but also the technology they used producing their armour and equipment. 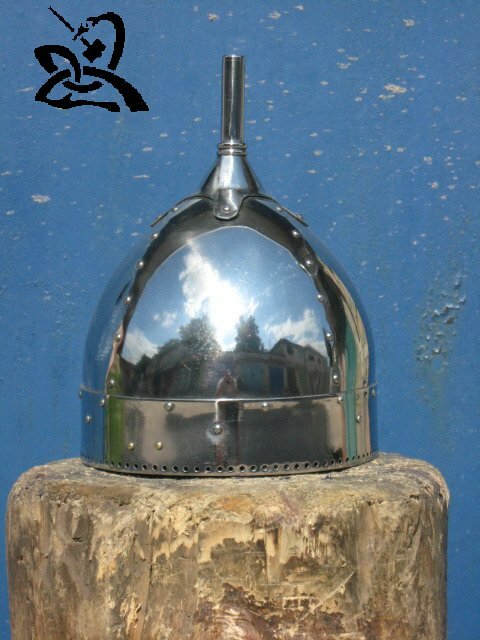 Here we present you the helm of Slavic, stylization of Kievan Rus. 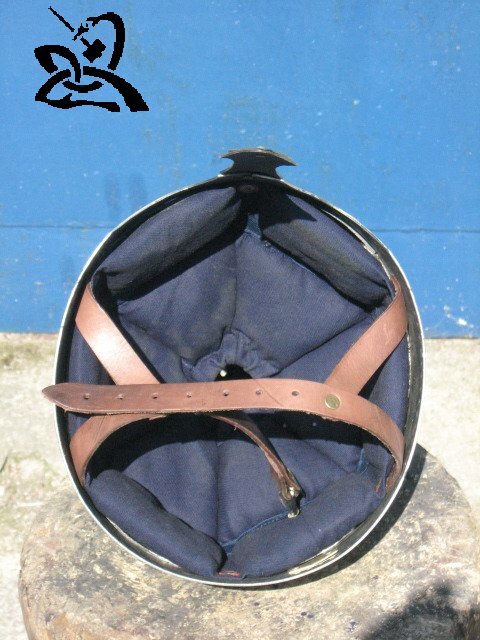 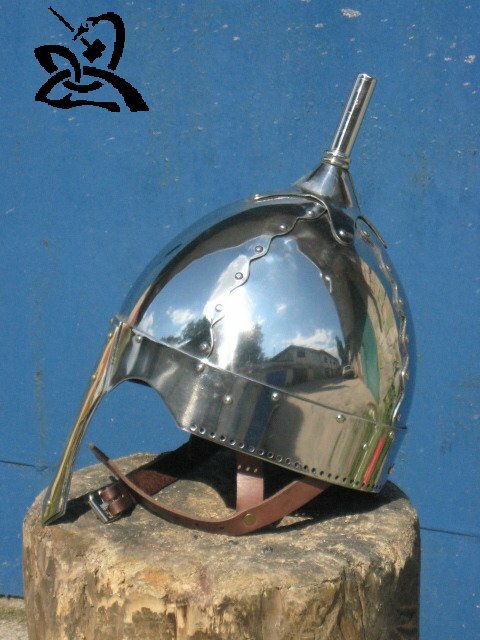 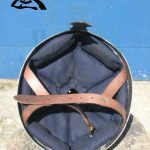 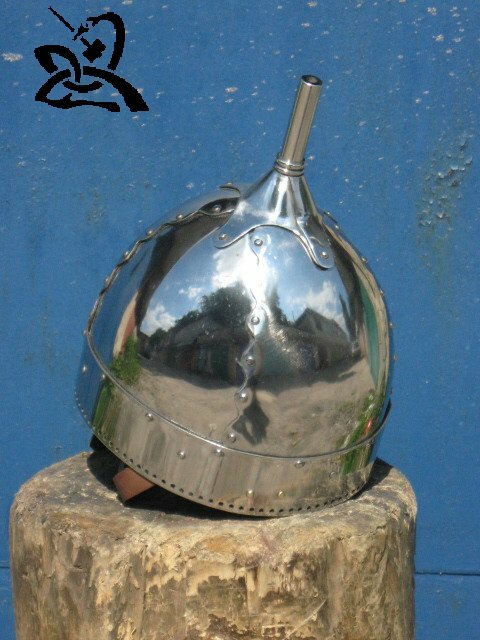 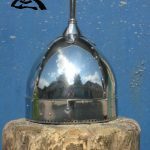 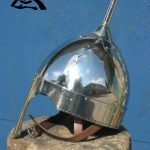 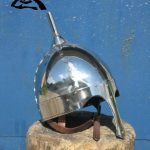 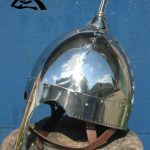 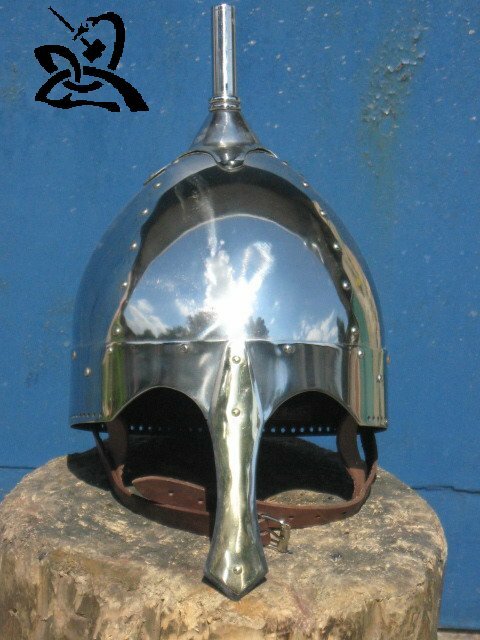 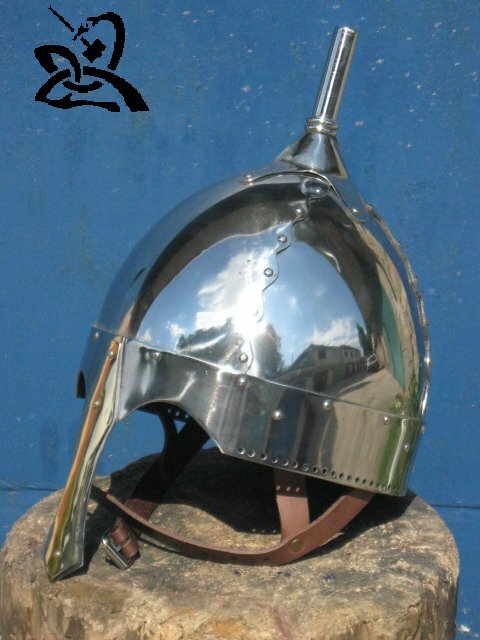 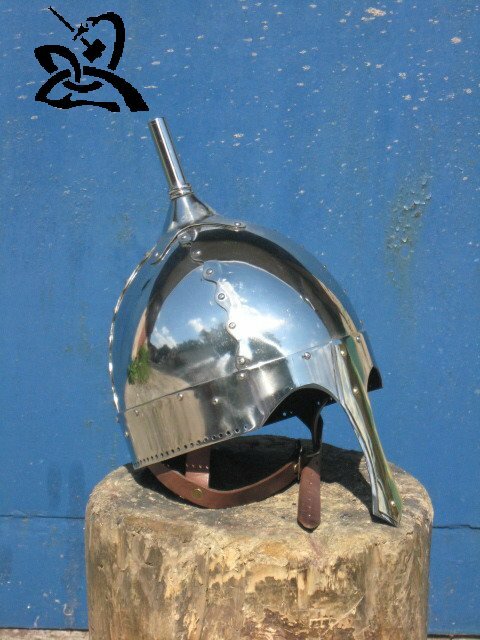 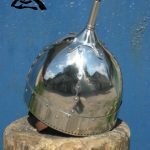 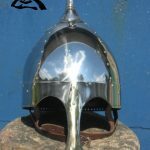 The helmet is made of cold-rolled steel 2 mm thick. 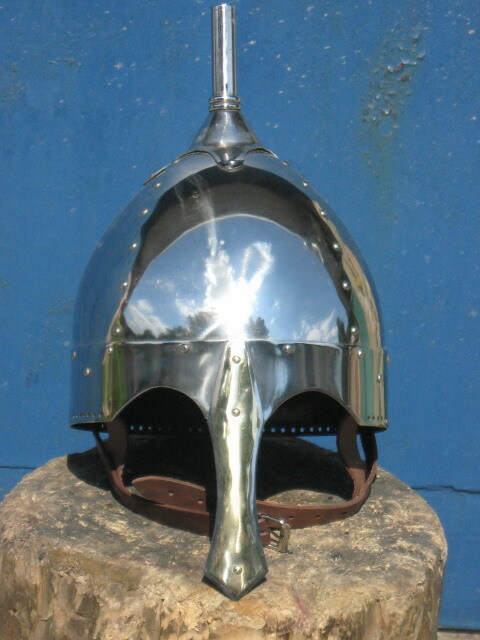 Front helmet adorned with a brass plate. 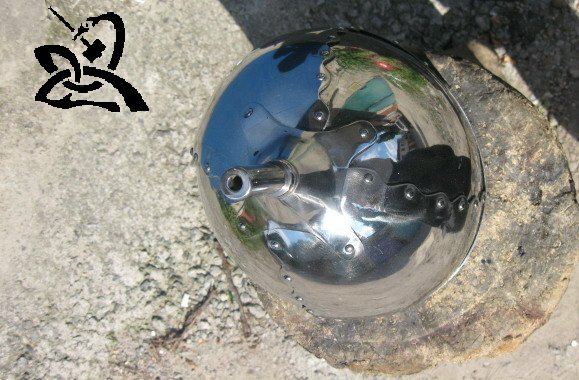 It’s very durable and able to stand even hard weapon kicks.